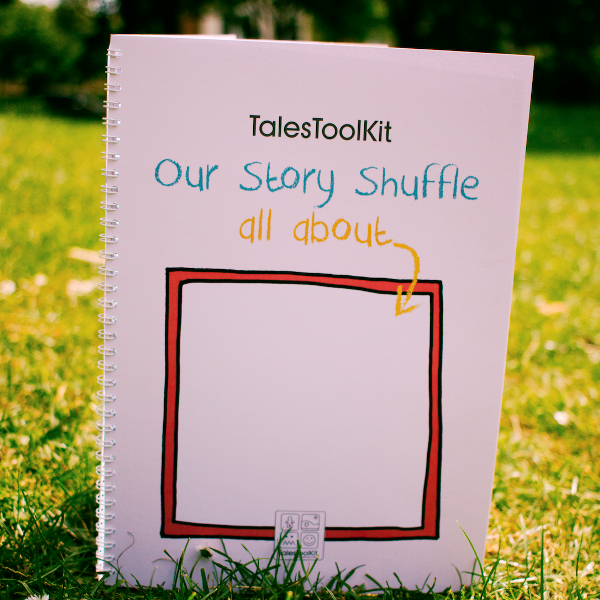 Tales Toolkit Shuffle Book – shake up story time! 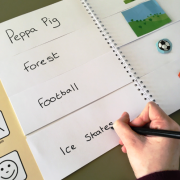 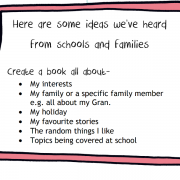 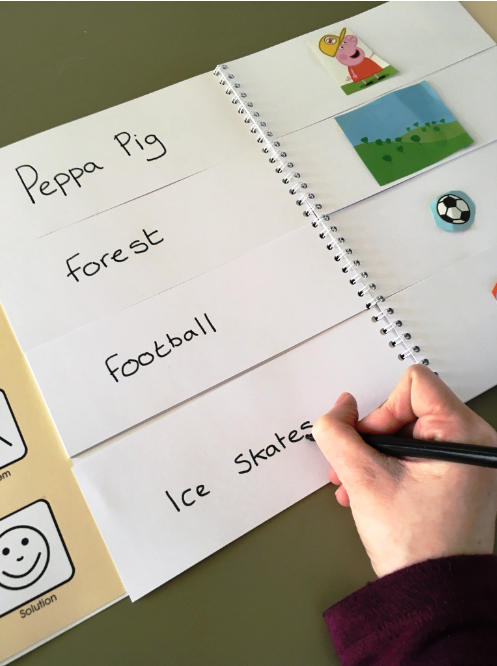 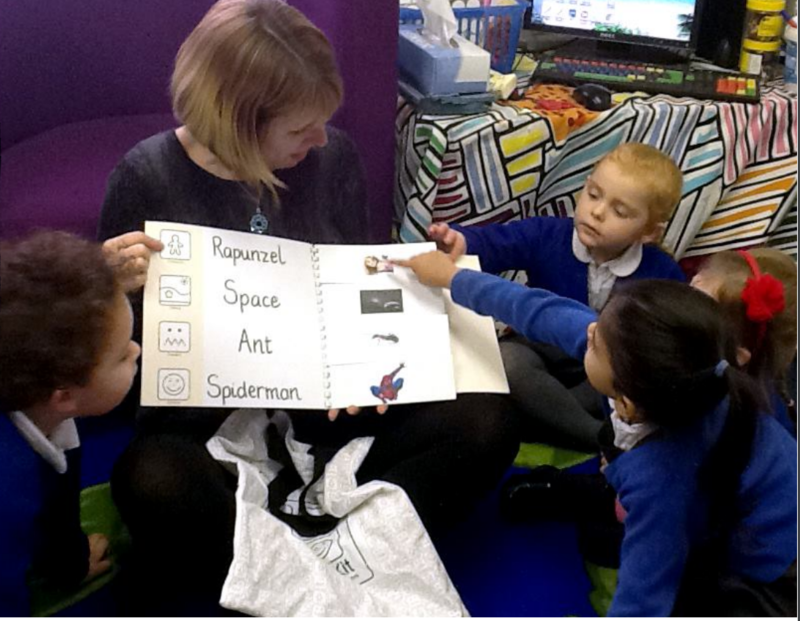 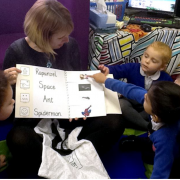 The littlest of people have the biggest imaginations and our shuffle book puts children in charge of creating their own stories using an easy peasy-to-use format. 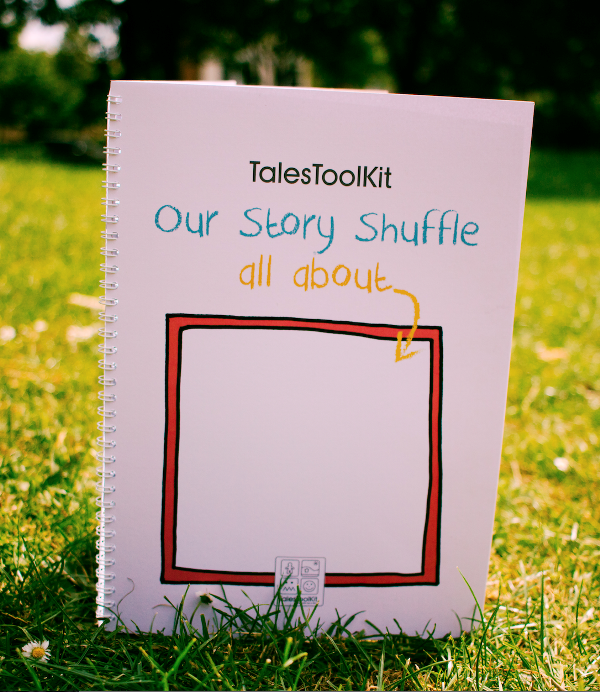 Tales Toolkit brings empty pages of possibility ready to create your own stories. 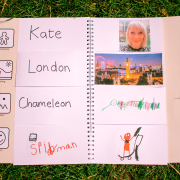 Fill the pages with drawings, photographs or pictures cut from magazines. 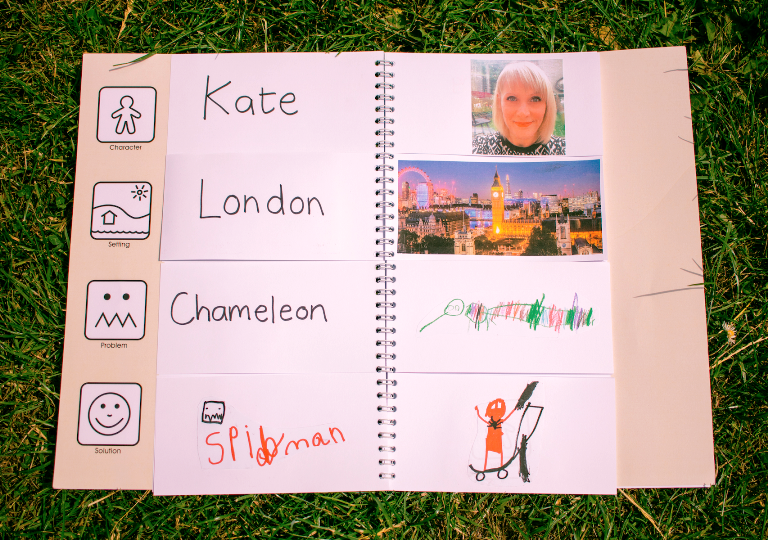 The options are endless – a picture of yourself, a superhero, magic potion or slimy slug… you choose! 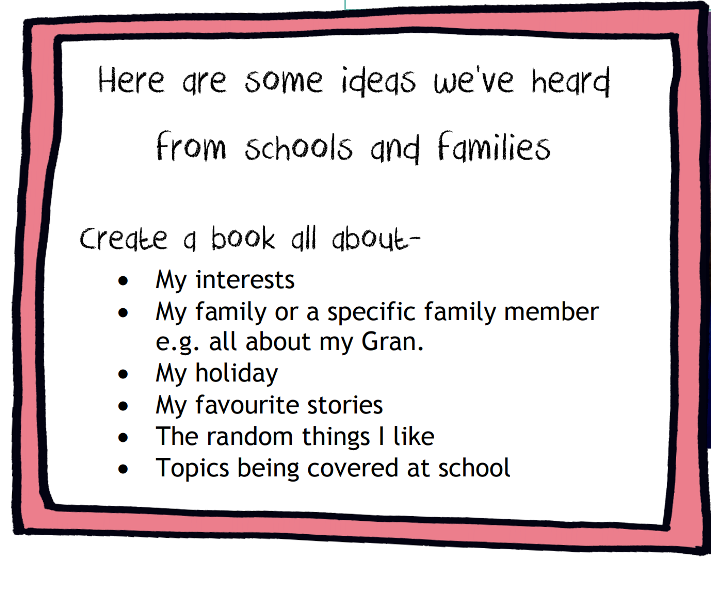 Once your pages are full, get ready to shuffle your stories, choosing a character, setting, problem and solution at random letting imaginations run riot.